Your vocal support has increased a lot this year. It's the first time ye have ever brought a decent amount fans to Terryland that were singing. And to be fair they sang their hearts out. When I was there in the 80's UCD had a decent fan base and most of them were students, judging by their scarfs. Fair few good looking birds too. Dumb as hell about football though. Not a sexest comment just an observation. There are friendlier places to drink. A few Ex-UCD Players in Lilywhite squad Meenan, McMillan David, Boyle, Finn and close season signing Robbie 'Bentz' Benson. UCD looking to continue to improve in preparation for First Division league season. Biggest game of the season at UCD Bowl so far this season, both sides on a roll, it'll be cracking friendly atmosphere. Two evenly matched teams, First vs Premier Division, UCD starting to get their act together with a 3-1 win over Cobh, UCD Fans in great voice. Should be a great match at a sun-splashed UCD Bowl. Three Home games in August at The UCD Bowl in the Summertime. Second place v third as both sides want to stay in the Play-Off places. Pete Mahon returns to Belfield. Great match with colour, noise and atmosphere aplenty. Evenly matched Cup tie in the early evening sunshine at UCD Bowl. Janesboro finished third in Limerick District League Premier Division last year. the Limerick Jumior side have already dealt with St John Bosco YC and Sheriff YC. The Students will have to be at their best in this tough, exciting tie. (Replay: if both scores level replay Tuesday 23rd August Janesboro v UCD AFC, Pearse Stadium, Limerick City ko 19:30 extra-time and penos if necessary). Moved to early evening Sunday after announcement for Limerick v Oman friendly on Fri. 26th. Huge game, Limerick are flying, Premier Division clubs starting to experience it themselves. The Students looking to repair some of the earlier season defeats. Three great games at UCD Bowl. Summertime in the Bowl is the place to be watching Football. Two evenly matched sides looking to progress. Plenty of noise and colour in a friendly atmosphere. All Football Fans are welome to teh UCD Bowl on UCD campus for this game. Watching Football at the UCD Bowl in the Summertime is one of the highlights of the Airtricity League* season. *even though this match is an FAI Cup game. Dylan Watts is expected to join English Premier League Champions this week. He started in all Four of UCD's UEFA Europa League qualifiers and in the first 15 First Division matches of this season. Best of Luck to Dylan, he's part of a talented group of UCD Players. Supporters Club with article on his career. The '1895 Dublin Derby' will always have an enduring longevity, an understanding that being and perseverance are successes within themselves. Enjoyable, friendly atmos at UCD Bowl guaranteed between great rivals. UCD looking for an unprecedented FOURTH league win of the season over Shels. Shels wanting to disrupt The Students promotion push all within the autumnal surrounds of the leafy Bowl and setting sun. It was a close run thing, goals from Georgie Kelly, Liam Scales and deep inside injury time at the death Ryan Swan stretched out a boot to bust the bunker. There was a time in History when this was a clash of Economic Classes... but not anymore. UCD Fans could be facing the prospect of 900 days in the First Division. This should be an entertaining attack-fueled game between some of the best young talent in the country. In winning this tournament last year and now competing in UEFA youth qualifiers, Cork City have shown this month that staying in the domestic competition for as long as possible can bring unexpected rewards/prestige. Yes, they appeared to be. I was at the Semi-Final aswell to compare both reactions. I have some disquieting news, one of the celebrating U17s got booked after the winning goal was scored for The Students versus Harps today. It's all very 'new professionalism', this isn't what I signed up for when I became a UCD FAN. 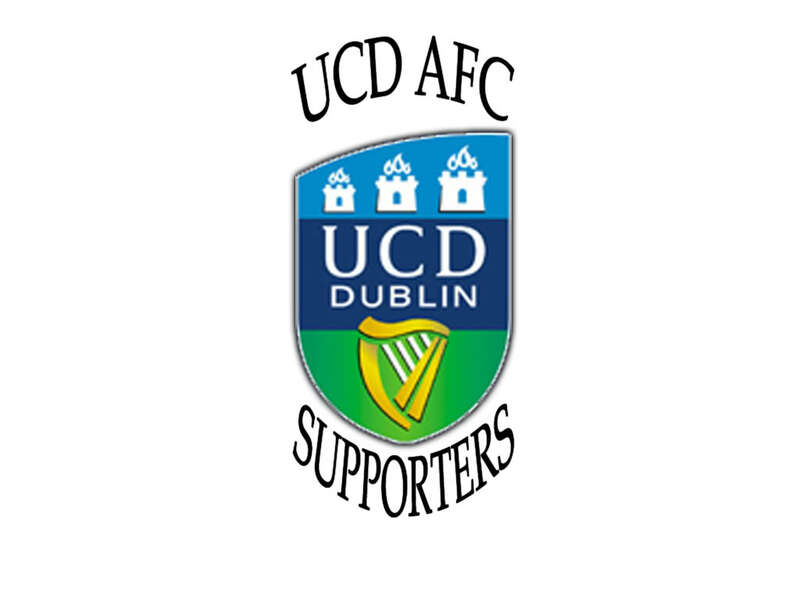 UCD AFC PA Announcer Michael J Higgins passed away yesterday during a trip to Copenhagen. It's very sad news, he leaves behind a wife, kids and grandkids. Sad news. I didn't really know him apart from seeing him in Belfield but he seemed a lovely man and was great on the PA. RIP.